WLCH, 91.3 FM, “Radio Centro” is a program of the Spanish American Civic Association (SACA), as an educational public community radio station. SACA Broadcasting was formed to provide the Hispanic Community with the opportunity to become fully informed about news, current events, educational and cultural programs. It also serves as a vehicle for greater interaction between our English and Spanish speaking communities, challenging both to become one community. WLCH is the only Latino, full time public and community radio station serving a regional audience that reaches Lancaster and York, PA! We are one of only 33 owned and operated Hispanic Public Radio stations nationwide. We broadcast 7 days a week, 24 hours a day. WLCH began broadcasting on September 14, 1987 and has provided consistent programming for over 30 years. On August 2, 2005 we began broadcasting in the city of York on the 100.3 FM frequency. WLCH has become an important vehicle for bridging communities across ethnic, and social, economic, cultural and language barriers. We are pleased to bridge the gap that exists between the Latino community and government, the human service community, the health system, schools and employers. WLCH’s parent agency, Spanish American Civic Association (SACA) is a 501(c)3 non-profit organization. Being a non-commercial radio station, we rely on sponsorships and the underwriting of programs, fundraising and support from the community. WLCH receives a grant from the Corporation of Public Broadcasting (CPB) to assist us in providing programming. Our staff at Radio Centro consists of 4 full-time employees and the contributions of more than 40 talented volunteers. Most of our programs are proudly produced in-house using local professional producer hosts. 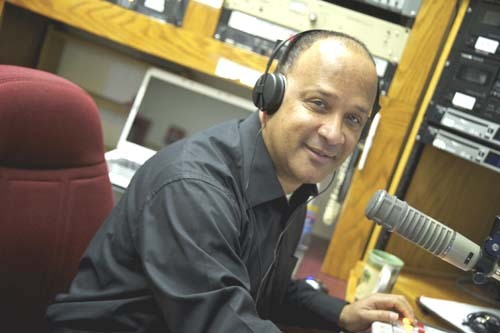 WLCH offers its listeners a wide variety of bilingual programs that educate, inform and entertain. Our cultural programs provide Latino music, poetry, history, heritage and artist profiles, while our public affairs presentations offer discussions about the issues affecting the community. WLCH’s news programs keep listeners informed of local, national, and international developments, as well as sports and weather. Our educational programs cover topics ranging from legal and financial issues, to parenting. We also cover everything from general health issues, to behavioral health concerns with drugs and alcohol, to HIV/AIDS, and Hepatitis C.
WLCH received the Latino Pride Award in 2004 from the Pennsylvania Governor’s Advisory Commission on Latino Affairs in Communications and Media. WLCH is a member of the Latino Public Radio Consortium (LPRC) and the National Federation of Community Broadcasters (NFCB). In addition to Radio Centro, SACA operates a television station – Tele Centro. It’s Lancaster’s (Comcast Channel 949) first and only bilingual educational cable television that offers a wide array of current affairs, health and cultural programming. In addition, it simulcasts some of the WLCH/Radio Centro programs. 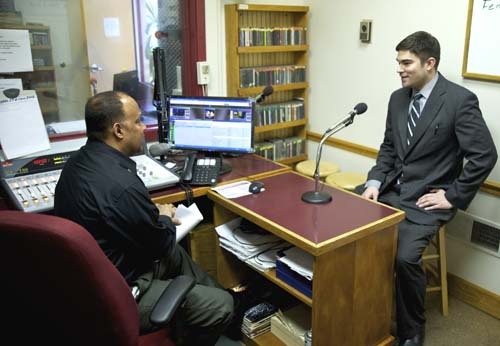 Tele Centro airs live programming, such as our morning news, interviews and public affairs program, “Cafe Con Leche.” Tele Centro cablecasts programming in York (Channel 15) and Adams (Channel 18) Counties via White Rose Community TV.